November 9th is Genetic Counselor Awareness Day. Today, we recognize our amazing team and genetic counselors across the world for their countless contributions to providers, patients, and the research community. Genetic counselors play a critical role in the shifting healthcare landscape. They work directly with doctors, patients, and their families to help them understand genetic testing, guide them through the process, and help them make informed choices based on their results. The role of genetic counselors has evolved over the years. Traditionally, a laboratory genetic counselor was “behind the scenes” using their expertise to ensure a requested test is patient-appropriate, interpreting the results, and compiling reports for providers. There was usually little or no direct patient contact. Today, Sema4’s genetic counselors and those at other labs are committed to open communication at all levels. 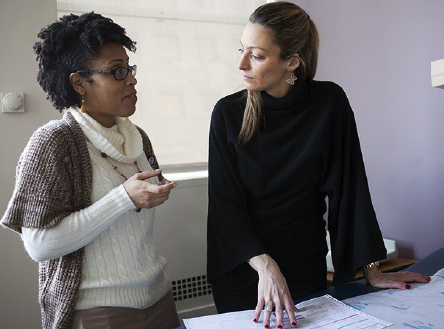 “While the doctor is still at the center of the process, the goal at our diagnostic labs is to establish a direct line of communication with the patient,” explains Lama Elkhoury, MS, CGC, Sema4’s Director of Genetic Counseling Services. “Our team proactively calls patients with positive genetic testing results to explain the results and provide compassionate guidance on care options. Patients are also welcome to contact us directly with questions.” One area Lama’s team is currently involved with is counseling users of Sema4’s Expanded Carrier Screen, which tests prospective parents for more than 280 genetic diseases, and advising them about what their results could mean for their future children.